We donate $1.00 to environmental cleanup and advocacy for every online booking made through our web site. For That Personal Touch: Fill out a travel planning form or use the links below to plan your next getaway. Note: There is a $35 service fee for personalized or specialized travel planning. This includes any time-consuming inquiries, research, and/or reservations. Order state, city or regional maps. Get customized driving directions for your next road trip. Green Maps chart the natural and cultural environment and use a collaboratively designed set of icons that represent green sites and cultural resources. Better World Travel consultants are available to help you with your complex vacation or business travel needs. For travel reservations (aside from EV Rentals), there is a minimum non-refundable service fee of $35.00. Please fill out a travel inquiry form. 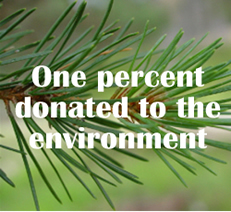 We donate 1% of all travel revenue to environmental cleanup and advocacy.